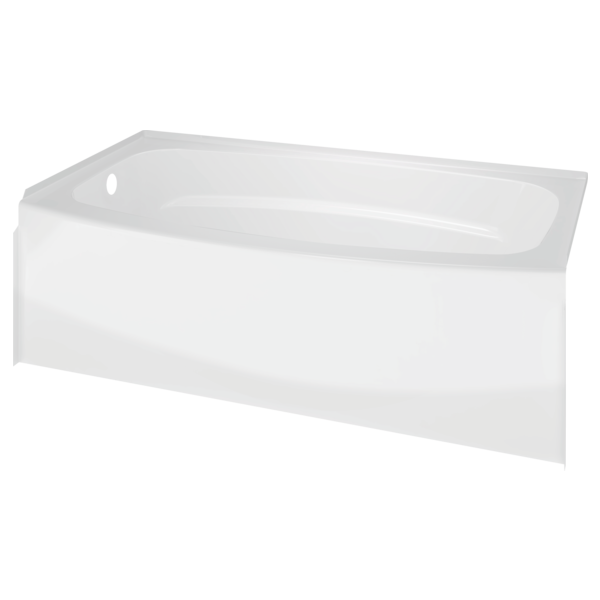 The Classic 400 Curve 5 ft. Left Drain Soaking Tub in White is designed to fit 5 ft. x 30 in. alcoves. 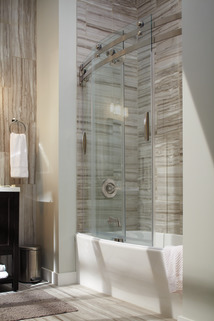 This bathtub offers an integral apron for a clean look. 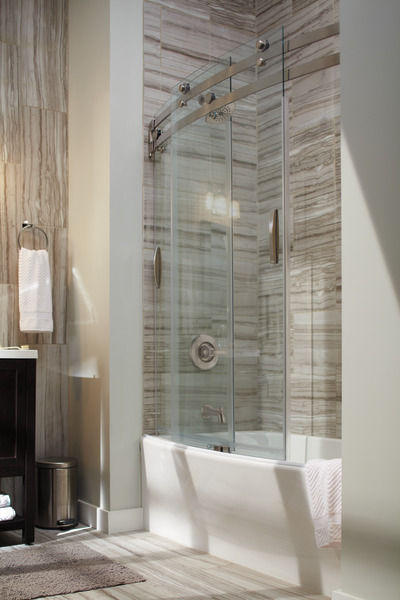 This bathtub also features a built-in, reinforced bathtub support to enhance installation and performance. At what height does the curve start? I have baseboard heat that I don't want to move near the right hand side. I've heard most acrylic/fiberglass tubs walls are about 5-6 mm. Some are up to 8mm think. What is the products thickness? 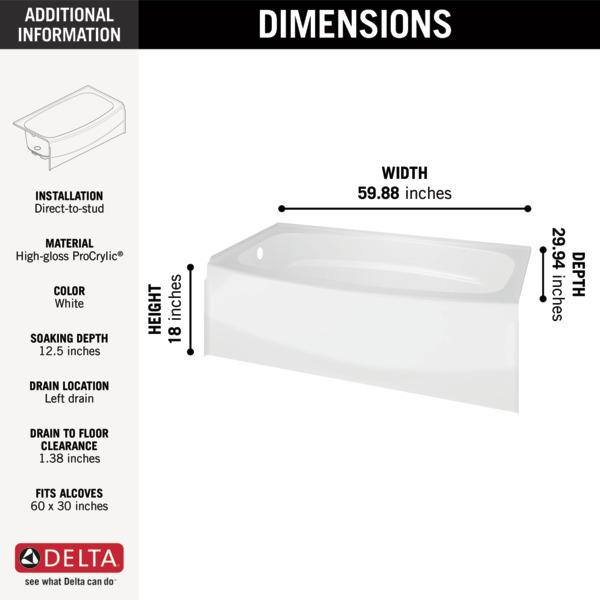 How wide is the widest part of this bathtub? 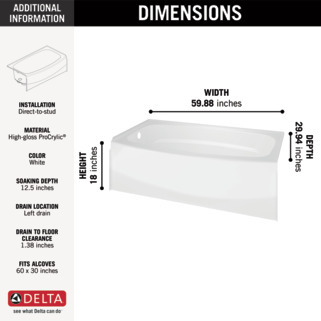 Hi, I know the tub is 30x60, but the specifications does not show the max width at the curve. Can you tell me what it is? How can I repair a small scratch in the finish? During installation a small scratch was made to the side of the tub unit. Is there a repair product available to hide the scratch? 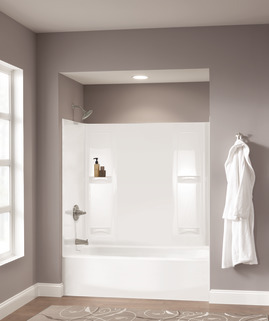 What cleaning products can I use to clean the tub surface? Our Delta Shower 400 curved glass insert Is wonderful except the rubber strip that you put on the tub to keep the water coming out keeps falling off can you recommend a stronger it he sieve to keep that rubber strip on so the water doesnt flow out shower.